Andrew Y. Lee, D.D.S., M.D. began his studies at the University of California, Davis graduating with a B.S. degree in Physiology in 1987. In 1991 Dr. Lee attended Columbia University School of Dental and Oral Surgery earning his D.D.S degree and continued on to earn his M.D. Degree in 1997 at New York Medical College. Dr. Lee’s residency training include: Resident in General Practice Dentistry, Beth Israel Medical Center 1991-1993, Lincoln Medical Center, New York Medical College 1993-1995, Nassau County Medical Center 1997, Chief Resident Oral and Maxillofacial Surgery, Long Island Jewish Medical Center 1998, Chief Resident, SUNY Stony Brook Medical Center 1999, Resident in General Surgery, Long Island Jewish Medical Center 1999-2000. 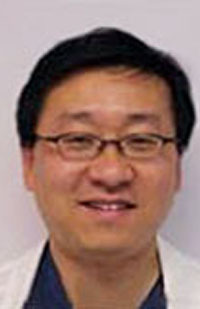 Dr. Lee’s Academic Experience include: Assistant Clinical Instructor in OMFS at SUNY Stony Brook School of Dentistry 1998. Dr. Lee’s extensive research involved investigating the electrophysiologic properties of mammalian brown adipose tissue, University of California, Davis 1985-1997. Dr. Lee’s special interests include: skiing, music, travel and cycling.